Staying connected and receiving rewards with Pizza Primo has never been easier. The official Pizza Primo loyalty program is here. Simply receive our punch card, earn points for purchases made at Pizza Primo, and then redeem them for discounts and other rewards! . 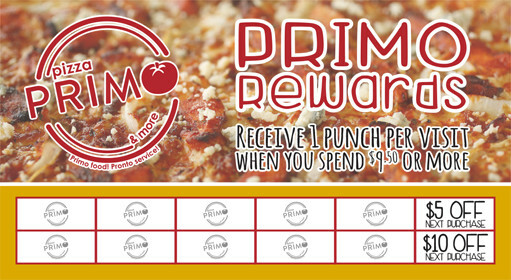 Receive one of our sought-after Loyalty Punch card at one of our three Pizza Primo locations. Get your Punch Card punched each time you spend $9.50 or more to receive rewards. Once you have achieved 5 punches in your punch card, you will receive 5 dollars off your next purchase! After you reach 10 punches in your punch card, you will receive 10 dollars off your next purchase!  Pick up your Pizza Primo punch card today and save.